As part of my new project about Cyber Security I've visited the 25th edition of Def Con (25), the largest hacker convention in the world. 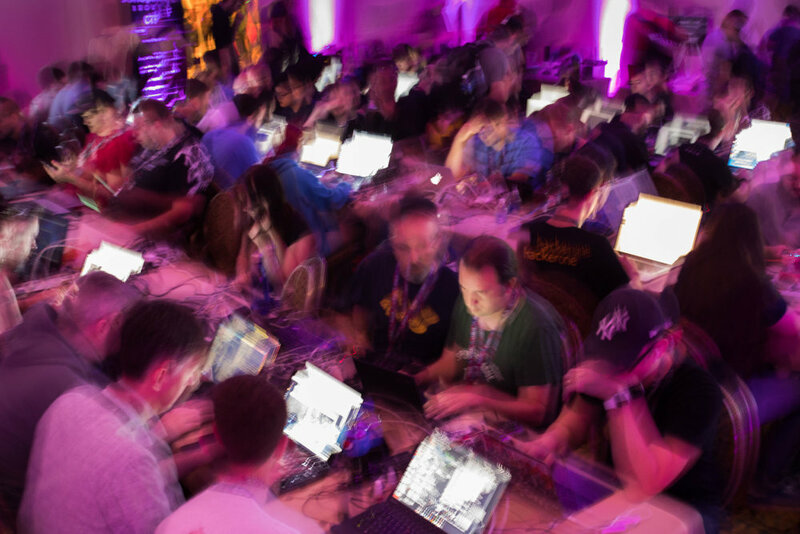 Many of the attendees include computer security professionals, journalists, lawyers, three letter government agencies and hackers with an interest in anything that can be hacked. In the massive venue of Ceasers Palace the 25.000 visitors can attend workshops ranging from lock-picking to car hacking. Many attendees buy simple “burner phones“ that can be thrown away after the convention since connecting your smartphone to the internet is an open invitation to get hacked.